Policy advisor Simon Anholt believes the question we should ask is, which country is the "goodest"? 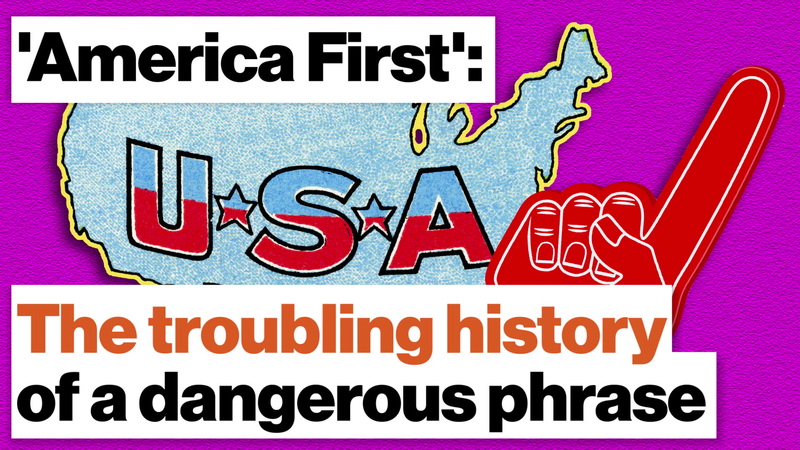 The popularity of Trump's "Make America Great Again" slogan shows many Americas fear their country has fallen from greatness. 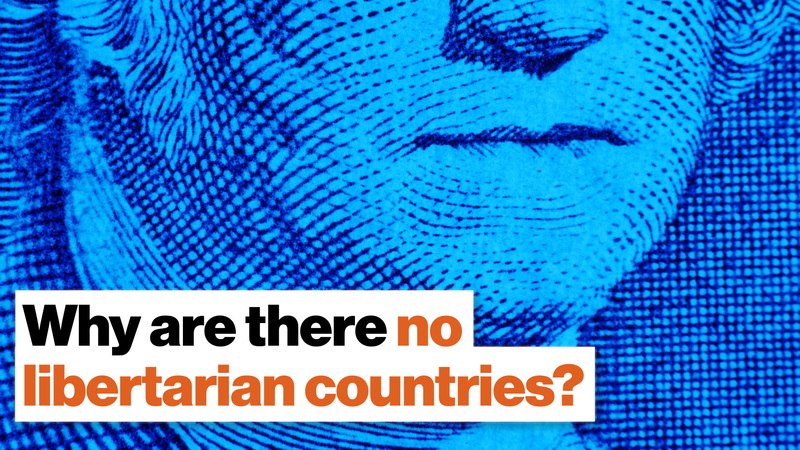 The Good Country Index measures how much good countries do for the world, not themselves. Being viewed as a good country, not a great one, improves a country's national brand, in turn helping them grow and improve internally. Make America Great Again. The campaign slogan of then-candidate Donald Trump resonated fiercely with many Americans. They put it on hats;, they chanted it at rallies, and they erected giant billboards to proclaim its gospel to any passersby. Joy Villa even wore a transforming dress dedicated to it. Underlining the sentiment is the belief that at some point in its history, America was the best country in the world. But it's fallen from its former glory, and the new imperative is to reclaim that title. Recent events have shown that the idea still holds sway over right-leaning voters, and while toxic to left-leaning voters today, it wasn't long ago that the message stirred their hearts as well. While Trump trademarked the phrase in 2012, American candidates have been using it for decades. It was cultivated during the fervid isolationism of the 1930s. Ronald Reagan resuscitated it for his 1980 bid. Bill Clinton, who claimed the phrase was a racist dog whistle in 2016, used it frequently in his 1991 stump speeches. Even if not those exact words, the promise has been made on both sides of the aisle by many hoping to obtain office. But Simon Anholt, who has advised heads of state and government in more than 50 countries, argues that striving to be the best or greatest country is the wrong solution to our problems, both domestic and aboard. He believes we should strive to be the "goodest country." As a political adviser, Anholt has thought a lot about countries and government. In his musings, he noticed two particular trends shaping today's world. First, globalization has benefited us nearly worldwide, but created problems at that same scale. A world linked by highways and air travel allows diseases to move abroad as efficiently as goods and services. The multitudinous roots of global finance mean that if a key American bank fails, the effects are felt the world over. And greenhouse gases produced by one country inflame the climate crisis facing us all. We have connected the world and humanity in ways never before conceivable, but this leads Anholt to his second point. Our governments continue to interact as they did in the centuries before globalization. "The politicians that we elect and the politicians we don't elect, on the whole, have minds that microscope. They don't have minds that telescope," Anholt said during a Ted talk. "They look in. They pretend, they behave, as if they believed that every country was an island that existed quite happily, independently of all the others on its own little planet in its own little solar system." Anholt dubs governments that think about being the best at the expense of others "cultural psychopaths." Like psychopaths, these governments view other countries with a lack of empathy and conscience. In a globalized world, however, such tribalism exacerbates problems. States that fight in needless trade wars may reap short-term rewards, but they can't maximize those rewards in the long-term. A tribal mindset further prevents us from collaborating effectively on global-scale problems such as nutrition, finance, immigration, and climate change, all of which leak through porous borders. To combat tribalism, Anholt created the Good Country Index. His goal was to measure countries' contributions to the world — not their own population but humanity as a whole. To be clear, "good" in this context is defined as the opposite of "selfish" or "cultural psychopathy." It is not a moral judgment but a calculation drawn from 35 reliable datasets gathered by the United Nations, international agencies, and non-government organizations. From this data, the Good Country Index scores nations based on their contributions to seven categories: Culture, World Order, Planet and Climate, Health and Wellbeing, Science and Technology, Prosperity and Equality, and International Peace and Security. The scores are then divided by gross domestic product to prevent larger, richer countries from having an unfair advantage. The index tries to be comprehensive, sporting 153 of the world's countries; however, countries such as Cuba, Bhutan, and Ethiopia are absent due to a lack of data. When the Good Country Index began in 2014, Ireland was number one and the United States ranked 21st. In the index's fourth iteration, the Emerald Isle is now the third "goodest" country in the world. Finland and the Netherlands have taken first and second, respectively. Finland is particularly interesting. Not only has the country scored highly on every iteration of the Good Country Index, but it ranks well on other global evaluations, including those measuring education, happiness, and health and wellness. Clearly, the Finns have something that other countries should be taking note of (and it's not salmiakki). But again, the Good Country Index isn't design to be an instrument of judgement or competition. It is a tool for elucidation and improvement. Finland may rank first overall, but it doesn't hold first place in any one category. While scoring highly in prosperity and environmentalism, the country dithers in international peace and security. Finland scores particularly low in arms exports, which measures the circulation of weapons and ammunition relative to the country's economy. As such, Finland can enhance its humanitarian efforts by improving its contributions to international security. For inspiration its leaders may want to look to Georgia, which ranked number one in that category despite coming in 38th overall. As for the United States, its position was reduced from 21st to 40th between 2014 and 2018. The U.S. brackets highest in health (11th), thanks to its contributes to worldwide food aid, pharmaceutical exports, and donations to humanitarian organizations and the World Health Organization. The country stumbles, however, in international peace (101st). This is due to the its endowment of arms and organized violence across the world, of which the U.S. bombs used to kill civilians in the Yemen Crisis​ is but the latest of many devastating example. Is being the best country bad branding? To many politicians and voters, domestic and international agendas seem incompatible. Through a zero-sum lens, it appears that one country's gain is another's loss, and the goal of a country's government should be to compete in the global system to net as many gains as possible for its people. But Anholt and the Good Country Index want to show that the altruism and self-interest aren't necessarily antonyms. Domestic and international agendas can be compatible and harmonized to the benefit of all. This is shown by another pet project of Anholt's, the National Brands Index. In collaboration with Ipsos, a global market research and consulting firm, the National Brands Index measures and compares countries' reputations in areas including culture, exports, tourism, and governance. Germany won the top spot in 2008, 2014, 2017, and 2018. The country is also well-recognized for its humanitarian efforts, placing highly on the Good Country Index. Like companies, a country's brand is important for its stability and access to cooperative relationships. Anholt explains: "If a country has a great, positive image, like Germany has or Sweden or Switzerland, everything is easy and everything is cheap. You get more tourists. You get more investors. You sell your products more expensively. If, on the other hand, you have a country with a very weak or a very negative image, everything is difficult and everything is expensive." The United States' brand has remained strong in current years, though it has slipped in tandem with its Good Country Index ranking. In a press release, Ipsos notes that the U.S. saw the greatest overall drop in its brand approval in 2018. This was due largely in part to negative perceptions in China, Canada, and Mexico. Pew Research Center concurs. Its surveys have shown that the U.S.'s brand remains favorable, but there are worrisome trends in the data. Western Europeans overwhelmingly lack confidence in President Trump. They don't believe the United States protects personal freedoms — the first time a majority of respondents have answered in the negative since Pew began asking the question in 2008. And people from several nations believe the United States doesn't consider other countries in its international policy. At home, Americans don't believe their leaders are up to the challenge. "Today, leaders must realise that they're responsible not only for their own people, but for every man, woman, child and animal on the planet; not just responsible for their own slice of territory, but for every square inch of the earth's surface and the atmosphere above it," the Good Country Index's website states. To Anholt's point, there are many inspiring examples of what can happen when countries look outside their boundaries to collaborate on humanitarian goals. Historically, we can look to the European Recovery Program. Today, we have the United Nations' Sustainable Development Goals — 17 directives aimed at improving the quality of life for all people in the world. The U.N.'s goals are lofty and include ending extreme poverty and undernourishment the world over. But it is only thanks to the collaborative effort of many countries that such goals can even be considered possibilities. For the first time in world history, extreme poverty has fallen to under 10 percent. There is still much to do, and issues that may still arise, it is only through collaboration that we've made the progress we have. Looking forward to 2020, President Trump appears to be upgrading his slogan to "Keep America Great." Perhaps we would all be better served if we decided to Keep America Good, instead. For the Japanese in World War II, surrender was unthinkable. So unthinkable that many soldiers continued to fight even after the island nation eventually did surrender. Japan may have surrendered to the Allies on August 15, 1945, but many Japanese soldiers did not get word until much later. The culture of death before surrender that permeated the Japanese military caused many to continue to fight even after Japan's formal surrender. Hiroo Onada was one such holdout. He engaged in a guerrilla war in the jungles of the Philippines for nearly 30 years. Following World War I, President Woodrow Wilson nearly died trying to ensure world peace. President Wilson proposed "Fourteen Points" at the end of World War I. He wanted an organization created – the League of Nations – to settle international disputes. The League was a precursor to the United Nations, but the U.S. never actually joined it. 1918 cartoon by E.A. Bushnell of Kaiser Wilhelm considering Woodrow Wilson's Fourteen Points. "Big Four" world leaders at Paris Peace Conference. May 27, 1919. From left to right: Prime Minister David Lloyd George, Premier Vittorio Orlando, Premier Georges Clemenceau, and President Woodrow Wilson. The first session of the League of Nations in the Salle de Reforme in Geneva. 1920. The Gap in the Bridge. Cartoon about the absence of the U.S. from the League of Nations. 1919. The incredible story of a scientist who survived gulags, fighting to change his country and physics. Physicist Yuri Orlov fought for human rights during the Cold War. He was arrested by the KGB and exiled to Siberia. Orlov's story can inspire scientists to fight for their beliefs. Want to empower social change? Break bread, literally, with the so-called enemy. Alice Dreger shares brilliant advice for divisive times: Break bread, literally, with your so-called enemy. "[S]ee if [you] can have a conversation, and preferably to do it over food or drink, because there is something very primal in us about sharing food and drink that allows us, I think, to open our hearts and our minds." If you're passionate about social change, Dreger recommends avoiding destructive tools or methods that would cause a kind of "arms race" in activism—it leads somewhere that no one wants to go. 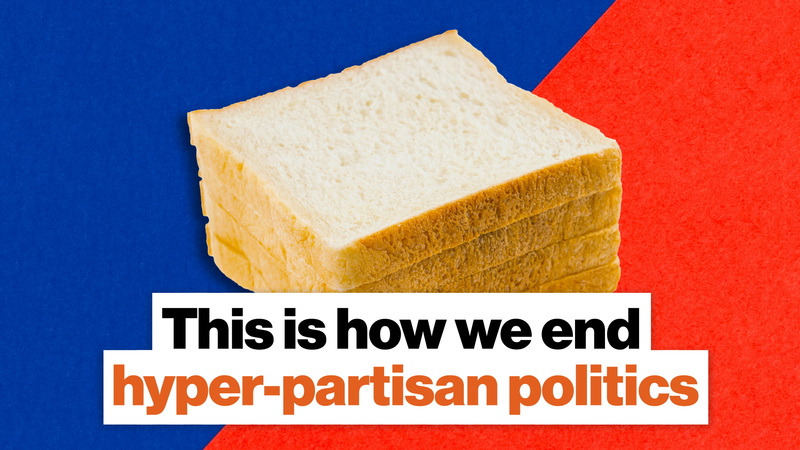 Spend time getting to know the issues you care about from a nonpartisan perspective—do descriptive, not normative, research. It will remind you of what the other side may be seeing that you might be missing because you're blinded by your partisan side.